Documentation for mxBeeBase in HTML format. This documentation is still incomplete. The software itself has been in use for quite a while, but the documentation still needs to be completed. For now, all we can offer you is to read the code which is well documented. The current storage size limit is sizeof(long) which gives you an address range of around 2GB on 32-bit platforms and a few TB on 64-bit platforms. The number of items in the index(es) is limited by sizeof(int). BeeDict index files are also not portable between 32-bit and 64-bit platforms. Windows x64 is currently not supported. Even though mxBeeBase will compile on Windows x64 with warnings and the resulting code will work most of the time, there are cases where the implementation can cause segfaults due to the way C integers and longs are sized on Windows x64. The mx.BeeBase.BeeDict module provides three high level on-disk dictionary implementations. The first (BeeDict) can work with arbitrary hashable key objects, the second (BeeStringDict) uses limited sized strings as basis providing slightly better performance and the third (BeeFixedLengthStringDict) uses fixed length strings which may also contain \0 characters. All variants need pickleable Python objects as keys and values. Data transfer to and from the dictionaries is done in the same way as for in-memory dictionaries, e.g. d['key'] = 1; print d['key']; del d['key], so usage should be mostly transparent to Python programs using either in-memory or on-disk dictionaries. ● Not all dictionary methods are implemented. ● In-place modifications of mutable values, such as lists or dictionaries, are not automatically written to the on-disk dictionary. You have to explicitly reassign the value to mark the entry as modified: listvalue = d['key']; listvalue.append(1); d['key'] = listvalue. ● Since on-disk dictionaries tend to be large, the implementations provide the Python iterator API which allows iterating over the complete dictionary without loading the complete data into memory. In Python 2.2 and up, you can use 'for key, value in beedict:' for iteration. In Python 2.1 and below, use 'for key, value in beedict.iteritems():' instead. BeeDict objects are on-disk dictionaries which use a hash-to-address index. Both Keys and values must be pickleable and can have arbitrary size (keys shouldn't be too long though); keys have to be hashable. Hash collisions are treated by sequential reads of all records with the same hash value and testing for equality of keys. This can be expensive ! BeeDicts use a BeeStorage.BeeKeyValueStorage instance as storage object and a BeeIndex.BeeIntegerIndex instance as index object. Calling len() on a BeeDictobject will raise an Error in case uncommitted changes exist. Create an instance using name as basename for the data and index files. Two files will be created: name.dat and name.idx. min_recordsizeis passed to the BeeStorage as indicator of the minimum size for data records. readonly can be set to true to open the files in read-only mode, preventing any disk modifications. To open the dictionary in recovery mode, pass a keyword recover=1. Then run .recover() and reopen using the normal settings. The AutoRecover() wrapper can take care of this action for you automatically. If autocommit is true the cache control will do an automatic .commit() whenever the transaction log overflows. If validate is true, the dictionary will run a validation check after having successfully opened storage and index. RecreateIndexError or RecoverErrorexceptions could be raised in case inconsistencies are found. maxcachesizedefines the maximum size of the in-memory transaction cache. It defaults to MAXCACHESIZE if not given. This does not issue a .commit(), so the current transaction is rolled back. Commits all changes and starts a new transaction. Rolls back the current transaction. All changes are undone. Return true in case the current transaction includes changes to the database, false otherwise. Check if the dictionary has an item indexed by key. Successfully found items are put in the cache for fast subsequent access. Get item indexed by key from the dictionary or default if no such item exists. This first tries to read the item from cache and reverts to the disk storage if it is not found. Return a BeeDictCursor instance for the dictionary. If key is given, the cursor is positioned on that key in the dictionary. Otherwise, the first entry in the dictionary is used which guarantees that all entries are scanned. In case the key is not found, default is returned instead. Note that cursors operate with the data on disk meaning that any uncommitted changes will not be seen by the cursor. Determine the amount of garbage in bytes that has accumulated in the storage file. This amount would be freed if .collect() were run. Run the storage garbage collector. Storage collection can only be done for writeable dictionaries and then only if the current transaction does not contain any pending changes. This can take a while depending on the size of the dictionary. Recover all valid records and recreate the index. Return a list of keys. The method does not load any data into the cache, but does take notice of uncommitted changes. For an iterative approach which uses less memory, see the .iterkeys() method. Return a list of values. For an iterative approach which uses less memory, see the .itervalues() method. Return a list of items. For an iterative approach which uses less memory, see the .iteritems() method. Deletes the storage and index files used for the BeeDict. Closes the BeeDict before proceeding with the removal. Return an iterator which iterates over the dictionary items and returns (key, value) tuples. The iterator is compatible to Python's for-statement. The dictionary may not have uncommitted changes ! Return an iterator which iterates over the dictionary keys. The iterator is compatible to Python's for-statement. Return an iterator which iterates over the dictionary values. The iterator is compatible to Python's for-statement. Base name of the dictionary. The implementation uses two files for the on-disk representation: name.dat and name.idx. Special key object useable to represent the first key in the (sorted) B+Tree index. Special key object useable to represent the last key in the (sorted) B+Tree index. BeeDictCursor objects are intended to iterate over the database one item at a time without the need to read all keys. You can then read/write to the current cursor position and thus modify the dictionary in place. Note that modifying the targeted dictionary while using a cursor can cause the cursor to skip new entries or fail due to deleted items. Especially deleting the key to which the cursor currently points can cause errors to be raised. In all other cases, the cursor will be repositioned. Calling len() on a BeeStringDict object will raise an Error in case uncommitted changes exist. BeeDictCursor objects are constructed using the BeeDict.cursor() method. Position the index cursor to index[key]. If value is given, index[key] == value is assured. key may also be FirstKey or LastKey (in which case value has to be None). Moves to the next entry in the dictionary. Returns true on success, false if the end-of-data has been reached. Moves to the previous entry in the dictionary. Reads the value object from the dict to which the cursor currently points. Reads the key object from the dict to which the cursor currently points. Reads the (key, value) item object from the dict to which the cursor currently points. Writes the object to the dict under the key to which the cursor currently points. The new data is not written to disk until the dictionary's current transaction is committed. BeeDictCursor don't have any useful attributes. Use the instance methods to query the key and value objects. BeeStringDict objects are on-disk dictionaries which use limited size string keys as index. The strings may not contain embedded \0 characters (if you need these, have a look at the BeeFixedLengthStringDict object). Values must be pickleable and can have arbitrary size. Since hash collisions cannot occur this dictionary type may have some performance advantages over the standard BeeDict dictionary. Create an instance using name as base name for the data and index files. Two files will be created: name.dat and name.idx. keysize gives the maximal size of the strings used as index keys. min_recordsize is passed to the BeeStorage as indicator of the minimum size for data records. readonly can be set to true to open the files in read-only mode, preventing any disk modifications. Note that the keysize is currently not stored in the dictionary itself -- you'll have to store this information in some other form (this may change in future versions of mxBeeBase). Return a BeeStringDictCursor instance for the dictionary. The method will raise an error if there are uncommitted changes pending. Output is sorted ascending according to keys. The iteration is done in ascending key order. Even though only the values are returned, the iteration is done in ascending key order. BeeStringDictCursor objects are intended to iterate over the database one item at a time without the need to read all keys. You can then read/write to the current cursor position and thus modify the dictionary in place. BeeStringDictCursor objects are constructed using the BeeStringDict.cursor() method. Key string which dereferences to the current cursor position. BeeFixedLengthStringDict objects are on-disk dictionaries which use fixed length string keys as index. All key strings must have the same length (the keysize). This allows them to also contain embedded \0 characters, which the BeeStringDict does not. Values must be pickleable and can have arbitrary size. BeeFixedLengthStringDict objects inherit from BeeStringDict objects, so they expose the same API as BeeStringDict objects. The only difference is their index, which is a BeeFixedLengthStringIndex for BeeFixedLengthStringDicts. BeeFixedLengthStringDicts also use BeeStringDictCursors as their cursor implementation. BeeFixedLengthStringDict objects have the same methods as BeeStringDict objects. Please see section 2.1.2BeeDict Object Methods for details. BeeFixedLengthStringDict objects have the same attributes as BeeStringDict objects. Please see section 2.1.3BeeDict Object Attributes for details. Wrapper that can be used around the dictionary constructors to provide automatic recovery whenever needed (if possible). Baseclass for errors related to this module. It is a subclass of Python's StandardError. This error is raised in case the index for a dictionary was not found and/or needs to be recreated by running recovery. It is a subclass of Error. This error is raised in case the storage for a dictionary was found to be in an inconsistent state. It is a subclass of Error. Special index key object representing the key of the first entry in the index (B+Tree's sort their data). Special index key object representing the key of the last entry in the index (B+Tree's sort their data). Default value for the maximum size of the in-memory transaction cache used by BeeDict/BeeStringDict objects. 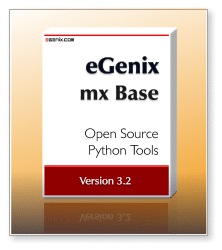 Please refer to the source code in mx/BeeBase/BeeStorage.py. If you just want to use an on-disk dictionary, you don't need to access the BeeStorage module directly. Please refer to the source code for details. If you just want to use an on-disk dictionary, you don't need to access the BeeIndex module directly. More examples will eventually appear in the Examples subdirectory of the package. The mxBeeBase/test.py test script also provides a few examples which might be handy at times. The package imports all symbols from the BeeBase sub module which in turn imports the extension module, so you only need to 'import BeeBase' to start working. Parts of this package are based on an ANSI C implementation of a B+Tree implementation written by Thomas Nieman, Portland, Oregon. The files in question are btr.c and btr.h which were heavily modified for the purpose of inclusion in this package by the above author. Permission to reproduce this document, in whole or in part, is given provided the original web site listed below is referenced, and no additional restrictions apply. Source code, when part of a software project, may be used freely without reference to the author.